Saving money at home can be difficult. With so much competition for your hard-earned cash, it can be a challenge to figure out how to manage our personal finances effectively. But I’ve learned a secret to saving money at home. And once you figure it out, saving money gets a lot easier. 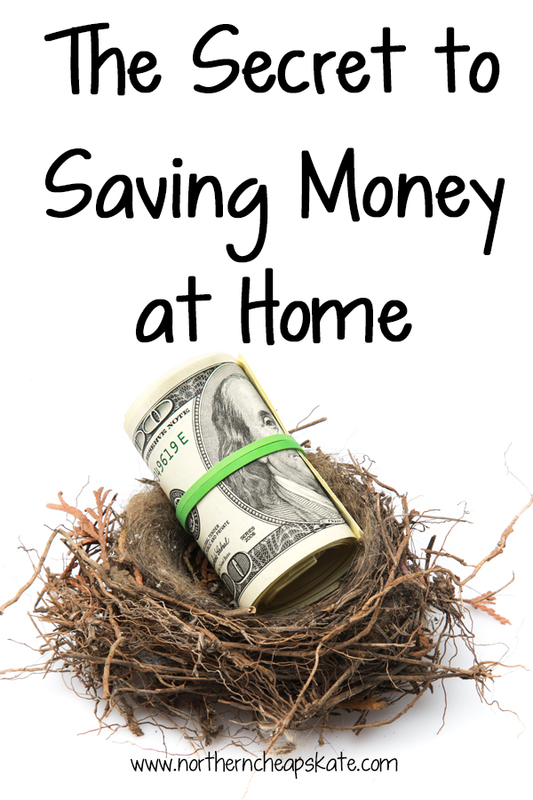 The secret to saving money at home is this: Planning. Planning is the most important thing you can do to make sure that you use your time efficiently and spend your money smartly. If you spend some time each week planning ahead, you’ll be much more intentional about how you spend your time and money. Being intentional about what you do at home is key to being a good steward of your limited resources. If you spend your days flitting from one random task to the next and never know what’s coming up next, you’ll end up exhausted and broke. But if you can look at your calendar and map out a plan, you can ward off unnecessary expenses and avoid the time-wasters that leave you with no time left to recharge. Start by keeping one master calendar. You can use a paper calendar or an online calendar like Cozi. Use this master calendar to write down all of you and your family’s commitments. Assign each family member a color to make it easy to visually see who needs to be where and when. Give yourself some breaks. One of the most important things you can do when planning your schedule, is to block out time to do nothing (or at least, time to do anything you want, like a hobby). Those breaks allow you to process all that is going on in your life, gain perspective, and recharge your batteries so you can tackle the rest of your week. If you find yourself snapping at your family, or they’re snapping at you, chances are good that there’s not much downtime in your lives. Schedule some. Plan your meals. Every week, I sit down with our family’s calendar and plan what we’re having for dinner for the week. This allows us to plan cheap, quick and easy meals for those busy nights, or budget for a meal out when we’re away from home at dinnertime. One you get in the habit of menu planning, it’s easy to see the benefits. You save money and eat healthier by buying the things your family enjoys when they’re on sale and you find coupons to use for your purchases. You can learn how to freeze meals in advance so that you don’t have to resort to take-out. You save money because you waste less food when you have a plan. Make lists. I’m a big fan of making to-do lists. I make my lists each night, and then at the end of the next day, I make note of what I didn’t complete so it can get done the next day. I keep a magnetic notepad on my refrigerator to keep track of what we’ll need at the store. I use Evernote to make lists of clothing items the kids need so I can remember them when I shop for deals. Lists help me plan my day and plan how much money I’ll be spending. It’s also very motivating to cross things off those lists. Make some routines. I know, I know. Routines are boring. But they are also very reliable, and can keep you from spending money when you’re stressed. Set routines for household chores like laundry and cleaning. Set routines for preparing make-ahead meals for the freezer. Stick to schedules for sleep and exercise. Make seasonal routines for house and vehicle maintenance. Routines will help you keep on track when life gets chaotic. They can also help you take care of your things so that they last. Plan for the unexpected. Put aside a little bit of money for emergencies. Stockpile household staples when they’re on sale for days when you’re too busy or feeling under the weather to do the shopping. Remember those little breaks you scheduled on your calendar? You can think of them as your emergency fund for your time. You really do need those breaks, but if something unexpected comes up, you can shuffle your schedule to use that time if you need it. Planning really is key. We have a calendar on the wall that has to keep all of our appointments and other obligations. Otherwise, we don’t remember them. And I try to schedule a day in between appointments whenever possible. We need more downtime than a lot of healthy people, so I try to respect that. Because if we’re exhausted from basic stuff, it’s a lot harder to be frugal. After retiring from work I was able to take the time and thoroughly review our bills. I was working too many hours and my husband basically wrote the checks for the bills. Called the bill companies and went over the bills. Found some discounts, mistakes, automatic payments for credit cards. We always pay the full amount of the credit card bill monthly. I also got updated quotes for our home, auto, and television provider. Reviewed mail in health prescriptions versus going to Wal-Mart pharmacy. Estimated savings comes out at around $1,500.00 a year. I’m also able to spend more time finding grocery coupons along with setting up measures to cut out electric bill. We have cut our electric bill around $25.00 a month since I’ve been home. We had one of the better utility bills in our neighborhood according to the utility company before this added savings. We’ve used a Kroger Visa credit card for several years now. I work the sales items, coupons, and gift cards to obtain a $1.05 savings per gallon of gas each month. on their rewards system. We had some Lowe’s gift cards so we purchased enough five gallon gas cans to get the full 35 gallon per visit discount price. I stayed at home for 15 years when my children were young. I’m staying at home again and still working to find ways to save costs. Our home and vehicles are paid for. It just takes time and making “how to save money” a hobby. Well said! It definitely takes some time, but the benefits are worth it! How to budget with no money?